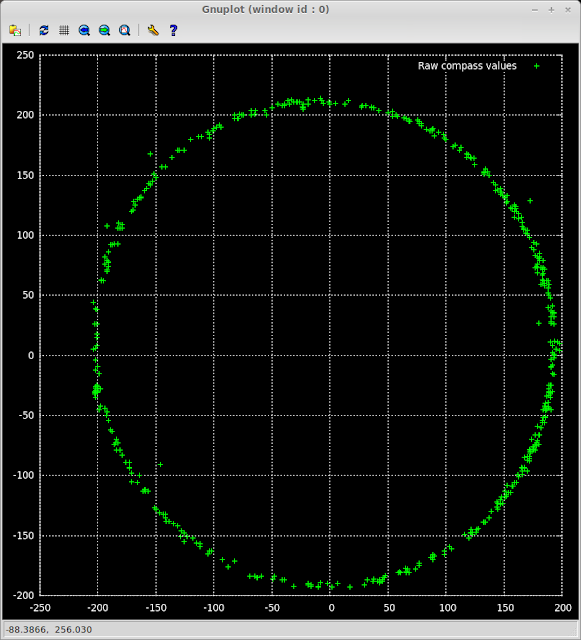 Here is how to connect a HMC5883L Compass to the Raspberry Pi, calibrate it and read the data. Connecting the compass is simple enough, follow the steps here which show how to connect a similar I2C device. re-run the program and direct the output to a file. While the program is running repeatedly rotate your compass backwards and forwards through 360 degrees, make sure you keep it flat otherwise you'll get some odd results. 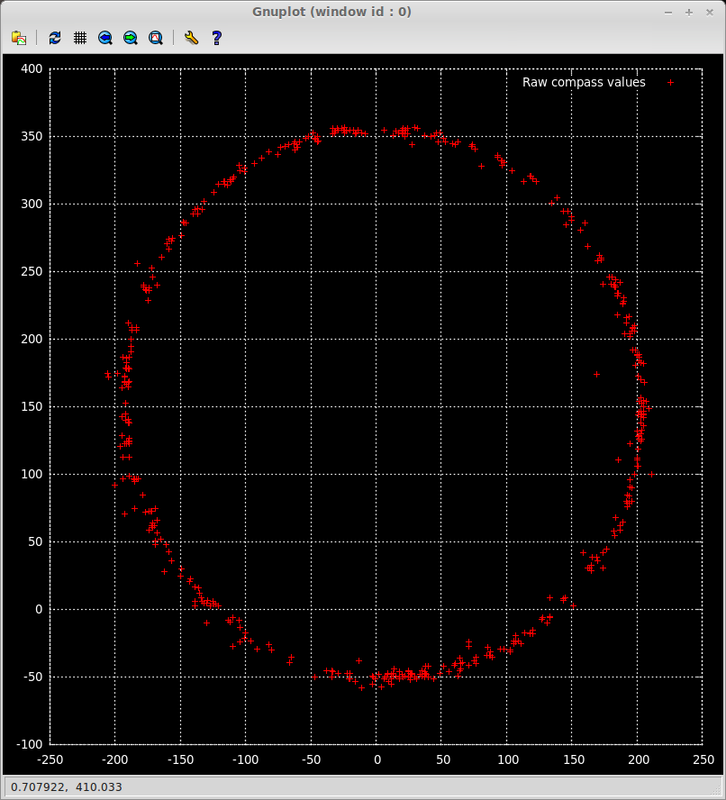 plot filename using 1:2 title "Raw compass values" linecolor rgb "green"
We can see that the circle isn't quite centered around the origin, although in this case it's not off by much. My previous compass was off by a much larger value. 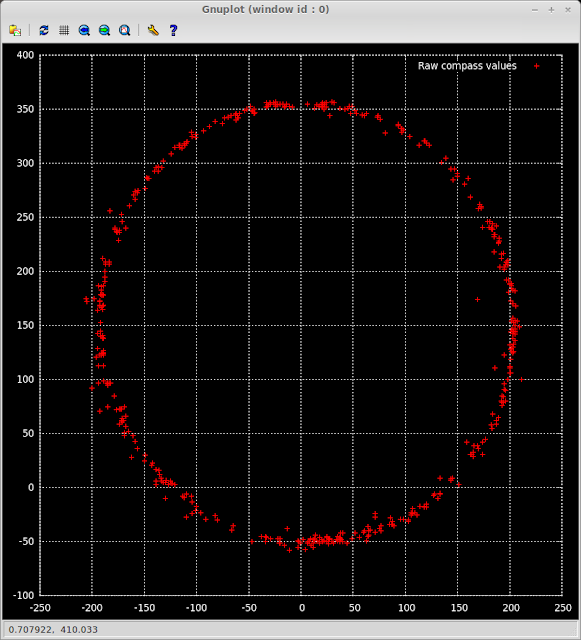 This plot shows the offset in Y to be about 150. As you can see these values are much better, there will always be a small variance as the data is a bit noisy. 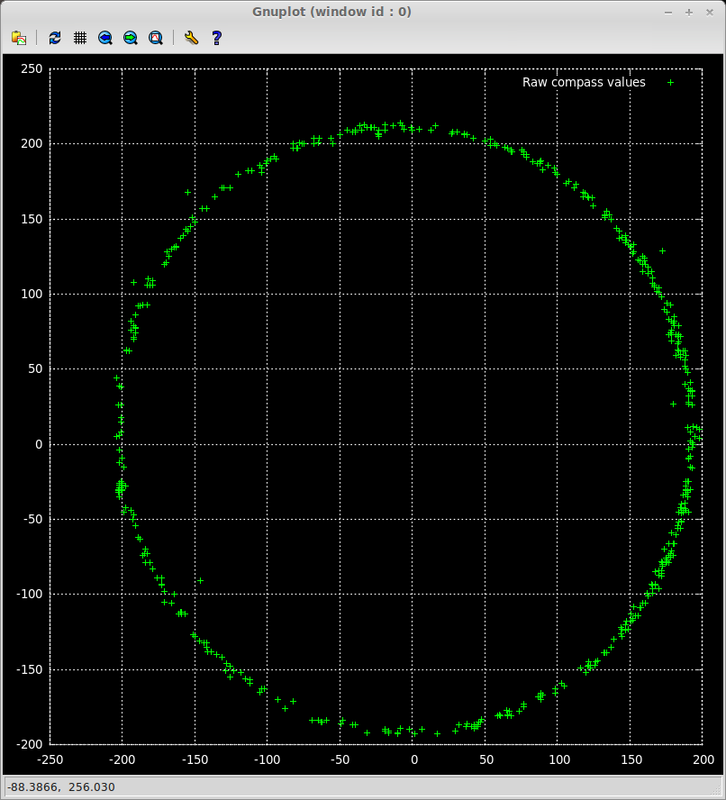 As you can see it's relatively easy to attached a compass module to your Raspberry Pi, calibrate it and start to get meaningful readings. Oh and don't have any large metal objects or large bits of electrical equipment close to the compass when testing.